When? 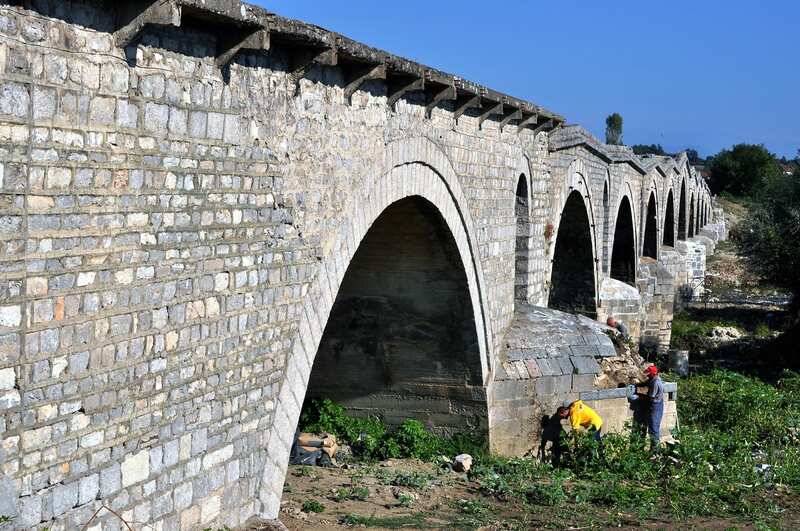 September 2015 Don’t Baulk at the Balkans. Coming from Macedonia. going on to Montenegro. ‘Kosovo is not a part of Serbia. 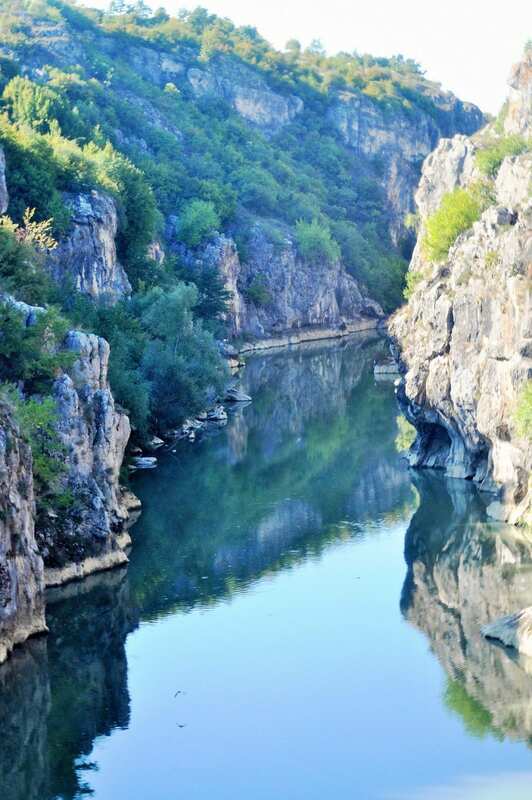 It is the very heart of Serbia. Back into Kosovo. It’s still disputed territory and is only partially recognised as a state mainly because Serbia still objects. 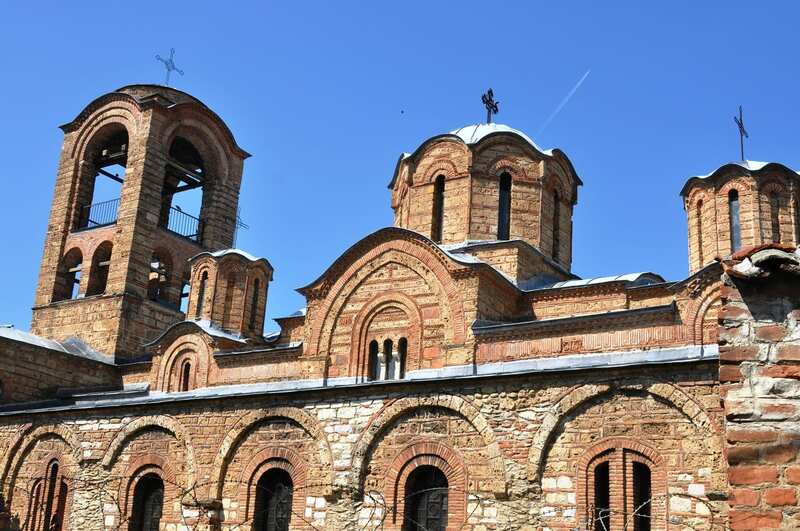 Serbia believes that much of Kosovo is historically and importantly linked to Serbia. It’s also strategically important as a South European link. 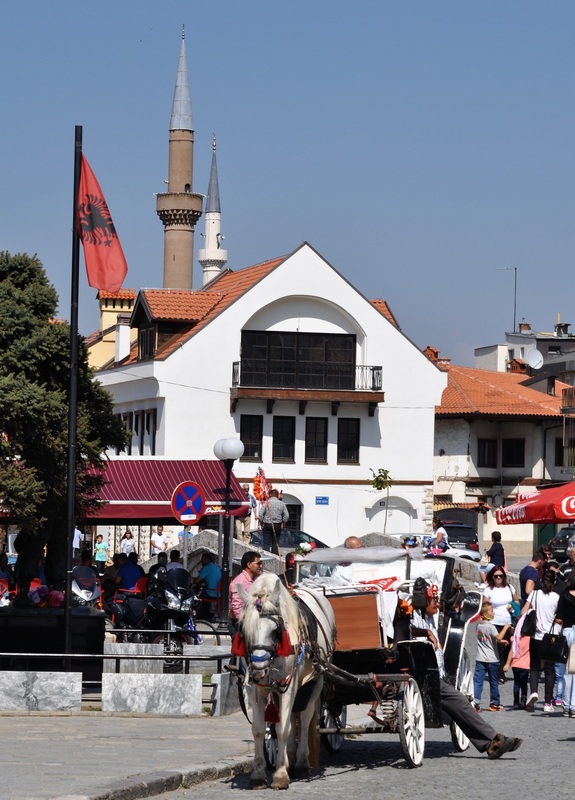 There are ongoing tensions between Kosovo’s Albanian and Serb populations. The capital city Pristina doesn’t look too pristine. There are the ubiquitous roadworks and much of the city is a huge building site. We don’t stop and sightseeing consist of squinting out of the bus window. The surrounding mountains and waterfalls are more rewarding. 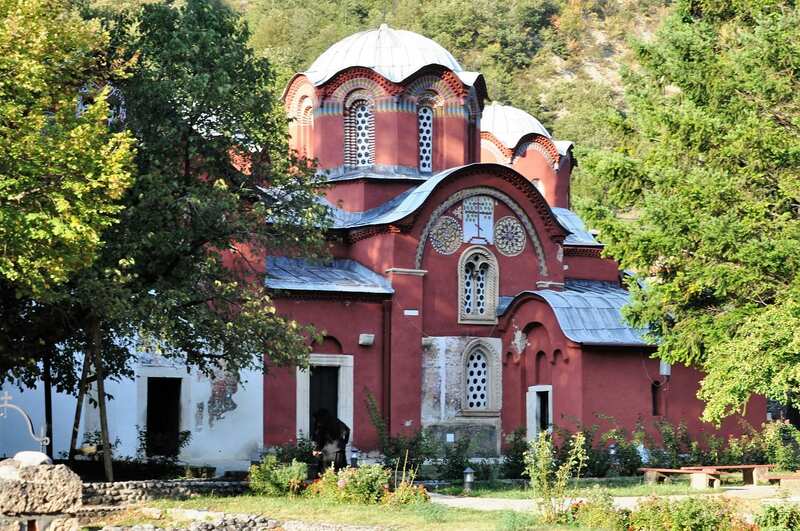 We visit a Serbian orthodox monastery at Decani, described by UNESCO as “an irreplaceable treasure, a place where traditions of Romanesque architecture meet artistic patterns of the Byzantine world.” Black robed nuns and monks play good cop, bad cop. The nuns are really helpful and informative, the monks eye us watchfully to make sure we meet the expected standards of behaviour and attire. 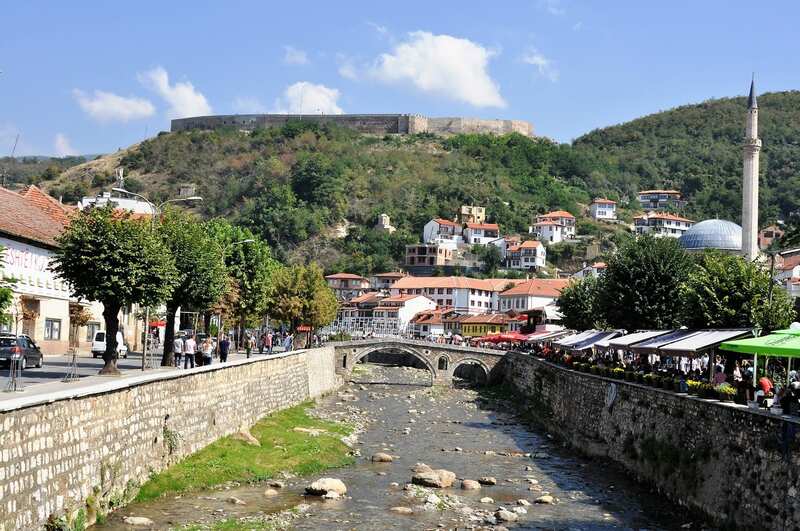 Prizren is prettily located with a mountain backdrop, on the border of Albania and Kosovo and is a very culturally diverse town, with mosques sitting next to Orthodox churches. It’s an interesting wander past stalls piled high and modern shops blending in with small craft boutiques, delis and sweet shops. After passing tantalisingly close to Albania (they won’t let me pop over the border) we overnight in the city of Pec, surrounded by more dramatic mountains. 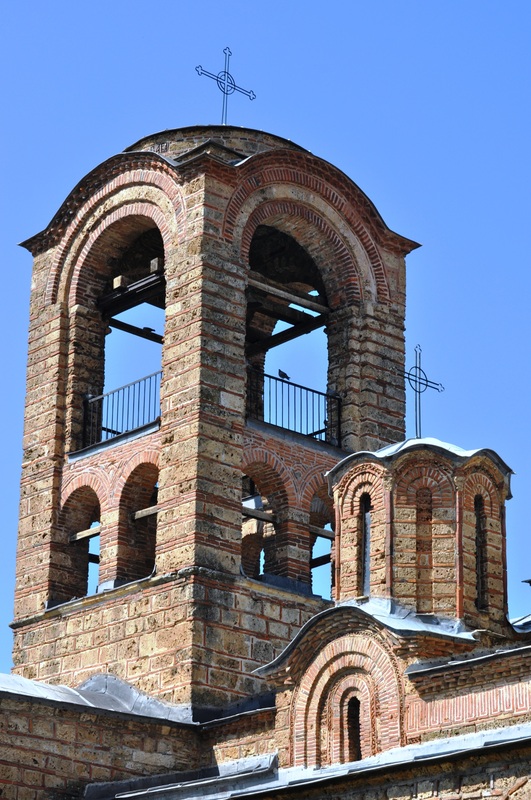 To see more of my photos of Kosovo, visit this page. 70% of the population is under 35.